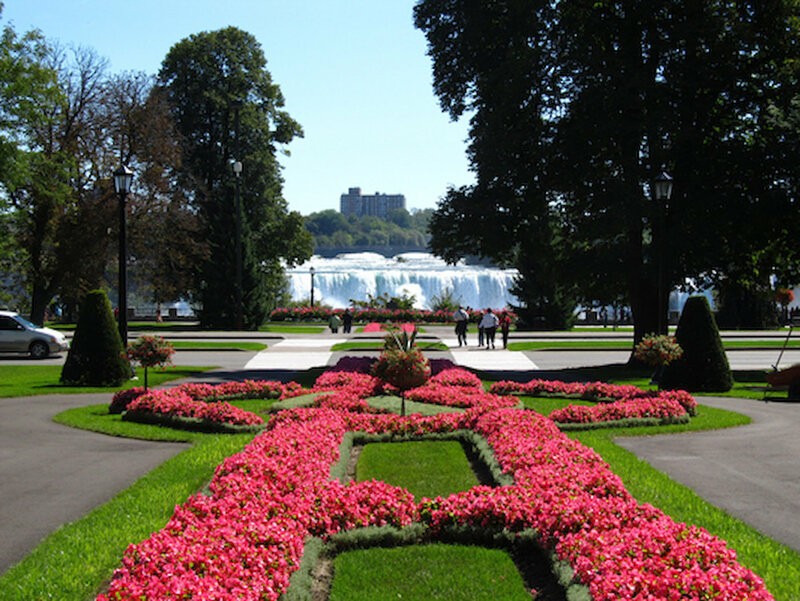 Queen Victoria Park is literally the "heart" of Niagara Parks. 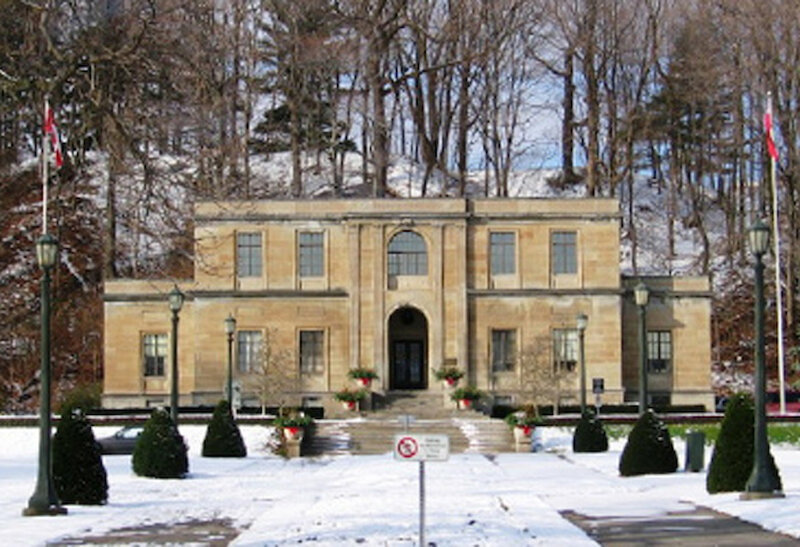 Bounded by the steep Fallsview moraine and the Niagara River Great Gorge, the Park contains a valuable collection of unique native and international plants and beautifully maintained gardens. 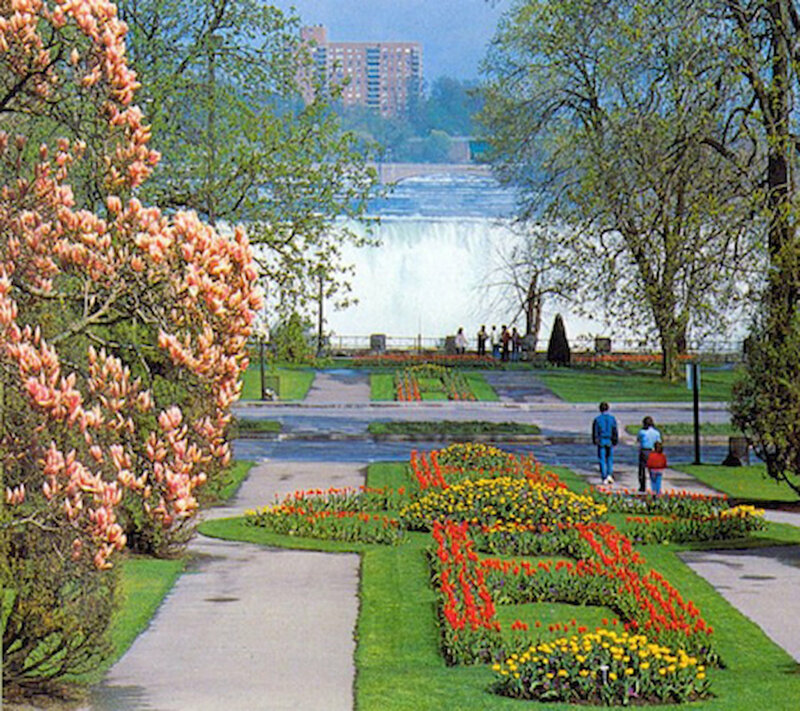 Walking through the Park beside the Falls, from Clifton Hill to beyond Dufferin Islands, you can enjoy a rock garden, hanging baskets, a Hybrid tea rose garden and attractive carpet-bedding displays. Park benches and well-groomed lawns provide pleasant venues for relaxation and photography. Queen Victoria Park celebrates every season in style. In Spring, over 500,000 daffodils start the season in their bright and welcoming way. Magnificent magnolia trees, breathtaking tulips and other blooms are all there for you to enjoy. Summer features carpet bedding displays as well as thousands of bedding plants. Fuchsia and lantana standards, cannas, coleus and many other plants provide horticultural and aesthetic points of interest. Chrysanthemums and kale are used in the Fall to provide interest after the arrival of "Jack Frost". During the Winter months, the stark branches of trees and shrubs create visual and special interest for our visitors, especially when beautifully covered with the freezing mist of the Falls.